Made of medical grade bio compatible, non toxic materials. Proximal end fitted with tapered tongue connector which provides forceps grip and assist in a traumatic insertion. Open, distal end, smoothly finished large eyes for efficient drainage. 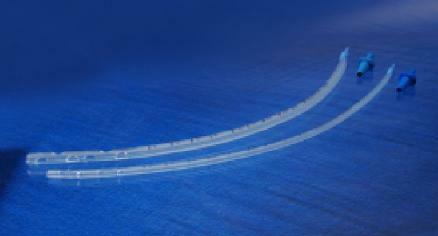 X ray opaque line throughout catheter length for detection and placement. Designed to minimize trauma to the pleura and the chest wall during insertion. Graduated at 2 cm intervals from the beginning of eyes.